So far charitywiseinc has created 12 blog entries. You’ve heard us say it many times before: What’s happening in our shelters isn’t a “pet problem” — it’s a poverty problem. There were many days when we felt like we were shouting it to no one, telling it to the walls. It’s human nature to get stuck looking at things one way, and we understand that. But we knew the approach had to shift, to look deeper, and we always believed if we just kept up our work, kept seeing the truth and sharing the truth, that eventually someone would see it for themselves. 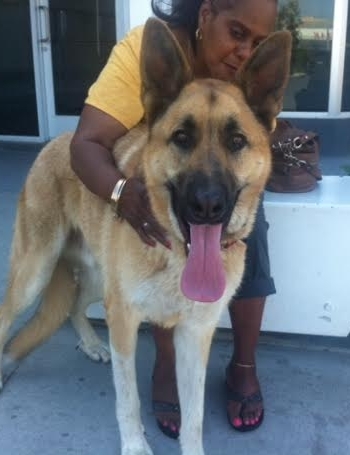 We did not expect that the great, big ASPCA could be that someone. The ASPCA is in our corner and conducting a formal research project about this very topic. The ASPCA’s findings show, like ours have and continue to, that because people living at or below the poverty level might not be able to afford medical care to treat a pet’s issue (however small or large – or even simply spay/neuter), they often see turning their animal into the shelter as the only option. It’s a choice made out of necessity and in some cases kindness; not often out of carelessness. Their research also proves that given the opportunity to receive assistance and keep their pets at home, most families gratefully accept. We hope that these are the kind of hard facts that will dissolve judgment, and turn the wasted energy of blaming into the productive energy of extending a helping hand. We hope that these are the kind of hard facts that will keep many more animals out of the shelter, as we seek to do, because there comes a time in everyone’s life when a helping hand is a lifeline. It only takes a walk through the shelter kennels to see the need. Thank You For a Great 2015! Here’s To More In 2016. As 2015 comes to a close, we want to reflect back on all that you’ve helped us do – our donors, supporters, volunteers, adopters, friends, partners, and fans. For starters, our Shelter Intervention Program (SIP) continued to keep pets out of the shelter this year on a much larger scale. 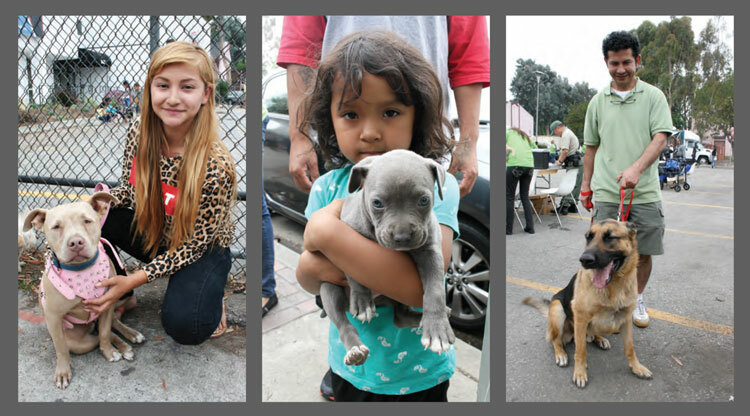 We offered free spay/ neuter surgeries, vaccinations, and dog training. We gave away monthly food, fixed broken gates, repaired fences, supplied dog houses, and paid license or redemption fees so pets could go home. We heard from families who were assisted through SIP, and they were proud to report on how they helped others in their community after experiencing our support. This domino effect of kindness is the type of lasting change that ripples. We’re thrilled to share that since April of 2013, we’ve been able to save 5,000 pets from entering the South Los Angeles Animal Shelter. Over the past 20 years we’ve witnessed the impact of extreme poverty in Los Angeles. Our goal is always to do more. We provided free services, held spay/neuter clinics, and walked the streets of underserved communities so that we could actually talk to people and listen to them. We thought about what we heard. What resources do they need? How can we deliver? Those are the questions DDR has been and will continue to be based on. Those are the questions that fuel our ongoing programs for those who need it most. Since 1996, we’ve provided free spay/neuter surgeries for thousands of dogs, and up until recently, we were the only nonprofit offering these services in Compton. Just us and our little project, which grew and grew. Now cut to today, and this summer we began partnering with the Southern California Veterinarian Medical Association, whose members volunteer with us in one of the poorest communities in LA. Together we’ve offered vaccinations and microchipping for hundreds of animals, but it’s been more than just about providing free services. It’s giving people who love their pets the chance at the veterinary care they want, but simply can’t afford. And in South LA, where the incidence of preventable infectious diseases such as Parvo and Distemper are high, this translated into saving lives. The best part is, the community is spreading the word for us — our spay/neuter appointments are now booked overwhelmingly by referral. 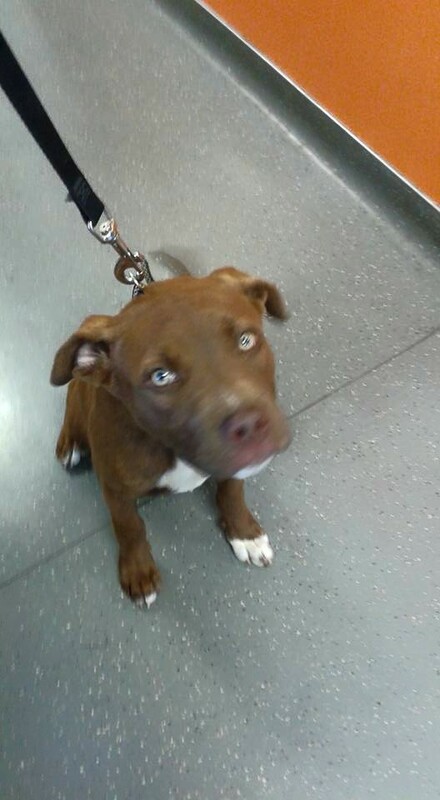 We’re helping the neighbors, cousins, and friends of dog owners who we saw last month or last year. And although the year is about to end, we are holding two more clinics before the ball drops on the 31st. Plus, DDR’s partnership with SCVMA proved the value of working directly in the community. They will now be working with additional nonprofits, expanding free services in more areas of need. 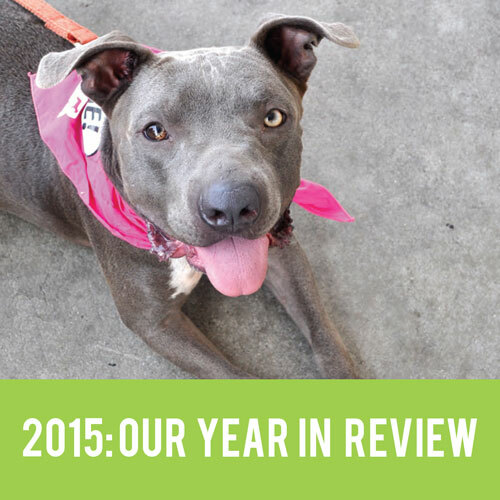 It’s been a good year for our Shelter Intervention Program, which continues to keep pets out of the shelter. People often ask us how we do it, how we empower pet owners with options other than surrendering their animal, and we tell them the truth: we try everything. By by offering free spay/neuter surgeries, vaccinations, and dog training; by giving away monthly food, fixing broken gates, repairing fences, supplying dog houses, and paying license or redemption fees at the shelter so a pet can go home. These are just some of the many things we do, and we’ve been able to save 5,000 pets from entering the South Los Angeles Animal Shelter since April 2013. 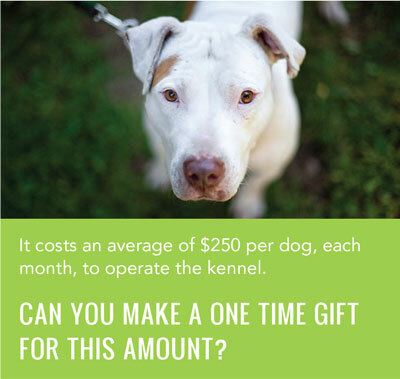 Our average case costs us $65 to prevent a pet from entering the South LA shelter. What a small price to pay to save an animal, and keep a family together. Can you help us do more? 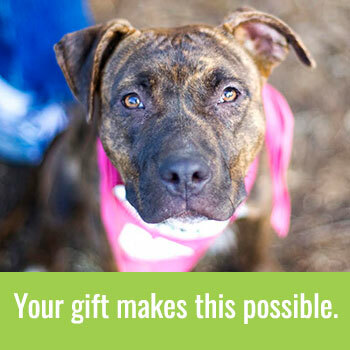 With your donation to DDR, you’re supporting helping to make a pets first home, their forever home. If we can get 1,000 supporters like you, to donate at least $12, we will reach our goal to increase our monthly budget by $1000 throughout 2016. LA Times Covers Our Story. There are so many complaints about the media these days. How they cover only the negative aspect of every issue, how their angles are always sensational. But every once in a while the media covers a story just like it is, and we’re so grateful the LA Times did that with this one. At the Found Animal Foundation‘s recent “The Impact of Poverty on Pets and Families” forum, I was not only honored to speak about our work, but to have our Shelter Intervention Program brought to many more people’s attention. It was exciting to look out into the room and see how much this topic has risen to the forefront, and to believe in the movement that might grow as a result. At DDR, we know that how much money somebody makes should not determine whether or not they have enough love to give their pets. A depleted bank account does not mean an empty heart. Challenging times does not mean you don’t deserve a dog or cat. It was my pleasure to talk about our real findings through our years of working with underserved communities and the homeless, and to share about how often we see people who are struggling value their pets. To me it was important to ask attendees for more support, but it was equally as important to call on animal rescuers and activists to have more compassion. It’s easy to make assumptions. It’s easy to pass judgement. It’s easy to make pet adoption an exclusive experience. What is hard is to extend a hand and say, “I see you. What’s going on? How can we help?” I’m proud to be part of a group that does so, and to watch as this issue takes center stage. The more we talk about it, the more awareness we cultivate, the more we let go of the illusion that financial status makes us different. 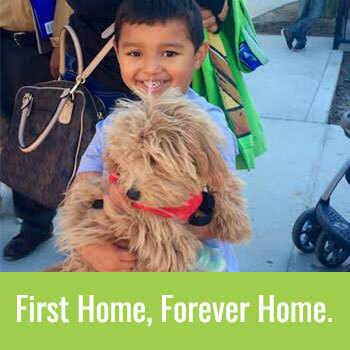 Then the more we can work to keep pets in their first homes forever. If a pet is happy and taken care of, and if we can support families when they need the help to do so, why shouldn’t that pet stay in his home? I have many more thoughts on this in my book, First Home, Forever Home. It was a great forum. I want to express deepest gratitude to Found Animals, LA Times, and everybody who was there, nodding their heads, listening with an open mind, and fighting to do better for animals.